When it comes to finding the best plumbing services in Edwards and beyond, businesses and homeowners will certainly do their research online before making the call for assistance. The plumbing industry is full of many different services and tools, making it difficult for citizens to determine what is essential for their pipes and what is a waste of money. As your local plumbers for Seattle and the surrounding areas, Action Jackson Plumbing is here to help! From sewer inspections to comprehensive plumbing repairs, our contractors are here and ready to offer honest, reliable help to restore your home or business and get your life back on track. Hydro jetting is one service that can be an effective solution for your drain cleaning needs. Today, we’ll answer a few of the most common questions clients ask us about hydro jetting to help give you more insight into what this handy plumbing service is. 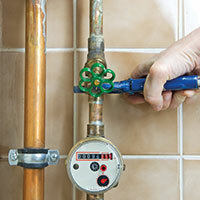 When done, be sure to contact our Washington plumbing company to schedule an inspection for your home! 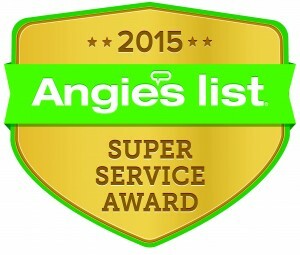 This service relies on a machine called a hydro jetter, which works as a high-pressure water delivery system to powerwash your home’s pipes until they are squeaky clean. While other pipe-clearing methods rely on harmful agents or costly services for effective results, hydro jetting only requires a supply of water. Ho es to regain the original diameter and produce a smooth, spotless surface. What is a hydro jetter? These handy machines are often mounted on trucks or trailers due to the high volume of water needed for proper sewer cleaning. For decades, this high-pressure water jet has worked to scour lines clean, spraying H2O with a power between 1,000 and 5,000 psi. While the diameter of water release is very minimal, the pressure can still require a large amount of water. At such high speeds, hydro jetters can go through 65 gallons or more per minute! Is hydro jetting more effective than rooter services? Generally, yes! While drain snakes and cables work to punch or cut through tough clogs, hydro jetting effectively washes the entire blockage away. Traditional rooter services are great for clearing blockages, but the residual grime left behind may cause another clog in the near future. With our high-power pressure wash, you can expect long-term results that will result in a much cleaner, healthier sewer system. Can I perform my own hydro jetting services? The Action Jackson team strongly recommends you leave this task to the professionals! This machine operates at very high pressure levels, making it essential to have the proper training before starting. Failing to learn the safest methods for operating a jetter can result in serious injury. Our commercial and residential plumbers are well-trained in this task, performing training updates throughout the year to ensure that they are up to date on the safest practices and best equipment. Hydro jetting is an effective, eco-friendly solution for clogs in between 1.5- and 24-inch drain lines. Action Jackson Plumbing is proud to offer this and other plumbing services to Edwards and the surrounding areas. If your home or business is plagued by clogs, be sure to contact us today to schedule an appointment! Call Edmonds first choice in commercial plumbing service and expertise today to learn more about our team or to get your job started. 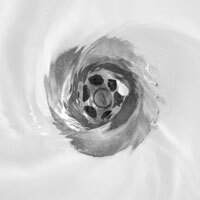 Your home has many drains that can become clogged: Sinks, showers, toilets, downspouts, main sewer lines. You can count on Action Jackson Drain Cleaning & Plumbing to care for them all. No plumbing job is too big, or too small for Action Jackson Drain Cleaning & Plumbing. 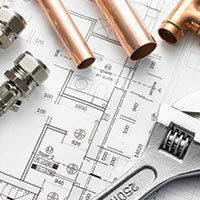 From re-piping and sewer replacement to faucet repair, we are here to help you every step of the way. Action Jackson Drain Cleaning & Plumbing offers maintenance, installations, and emergency repairs to many commercial operations. We also offer remodeling, additions, and new construction services.